In Jonathan Carroll's surreal masterpiece, Bathing the Lion, five people who live in the same New England town go to sleep one night and all share the same hyper-realistic dream. Some of these people know each other; some don’t. When they wake the next day all of them know what has happened. All five were at one time “mechanics,” a kind of cosmic repairman whose job is to keep order in the universe and clean up the messes made both by sentient beings and the utterly fearsome yet inevitable Chaos that periodically rolls through, wreaking mayhem wherever it touches down—a kind of infinitely powerful, merciless tornado. Because the job of a mechanic is grueling and exhausting, after a certain period all of them are retired and sent to different parts of the cosmos to live out their days as "civilians." Their memories are wiped clean and new identities are created for them that fit the places they go to live out their natural lives to the end. 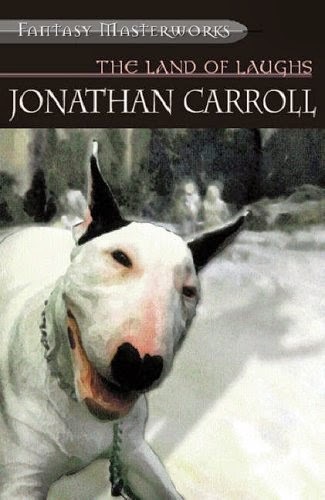 Jonathan Carroll's first full-length work of fiction in six years is as rooted in the real as it is the surreal its synopsis suggests. Bathing the Lion is about a quintet of cosmic mechanics who can read minds and remake the mundane recovering their talents in advance of the arrival of a fearsome force called Chaos—which seems, I'm sure, like a properly science fictional plot. But it's not. To wit, the World Fantasy Award-winning author evidences precious little interest in the ultimate result of this clash between... not good and evil, exactly, but order and its opposite. Rather, Carroll restrains his tale to the strictly small scale, in the process pointedly refusing the reader's needs. Not that we're aware of its nature, initially. By all accounts, Bathing the Lion's first third appears to be an introduction to the five former mechanics we foresee facing off against the coming Chaos. Jane pressed the heels of both hands against her forehead as if suffering a migraine. Edmonds stared straight ahead, transfixed, as did Kaspar. Dean and Vanessa jerked their heads as if being poked from all sides by invisible fingers. Sitting in Blackwelder, Josephine clapped her hands and bounced up and down, much to the chair's discomfort. It protested, "Stop that. Please, it hurts!" Incidentally, yes: there's a chatty chair; also a friendly red elephant and a man with a hand made of ants. Bathing the Lion is seriously weird, sometimes—and also, occasionally, quite, quite wonderful. Some, so forth, will find it fascinating. Others, infinitely frustrating. After the fact, I found myself careening between these extremes of feeling. I was rejected by this book—repeatedly—yet renewed, too. Bathing the Lion's biggest problem is the blandness betwixt all this. For starters, the characters. I grant that they are differentiated—there's the diva, her long-suffering husband, the widower, the bachelor and the bartender—but in practice few of the five represent a great deal more than their roles. Aside Edmonds, a sympathetic sort because of his loss, and Kaspar, who remembers more about his last life than he lets on, I couldn't, in truth, have cared less about the emotional states and eventual fates of Carroll's major players. "Had it really happened?" asks one character in advance of the anticlimactic last act. And "did it matter?" 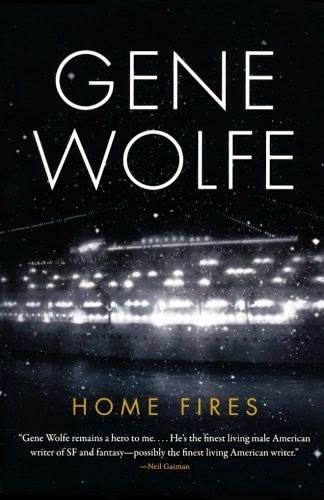 (p.166) Your answer to that latter will determine whether or not you're apt to enjoy this deliberately disjointed novel. 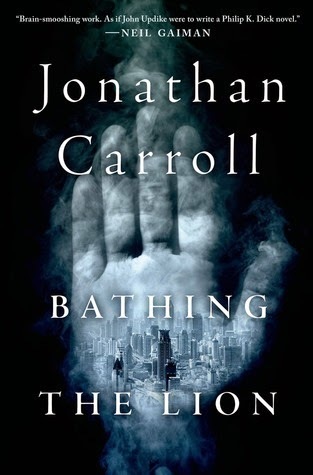 For my part, happy as I am to have Jonathan Carroll back, Bathing the Lion seems in summation substantially less valuable than the man's many magical realist masterpieces. 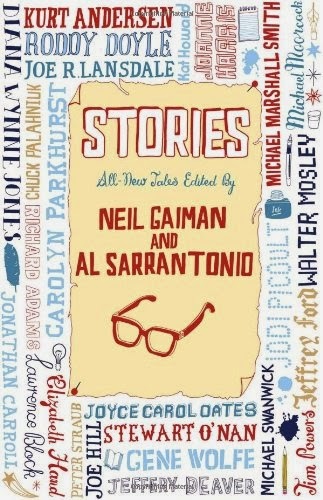 It has its moments, I hasten to add, but much of the rest of the text is at most mediocre.